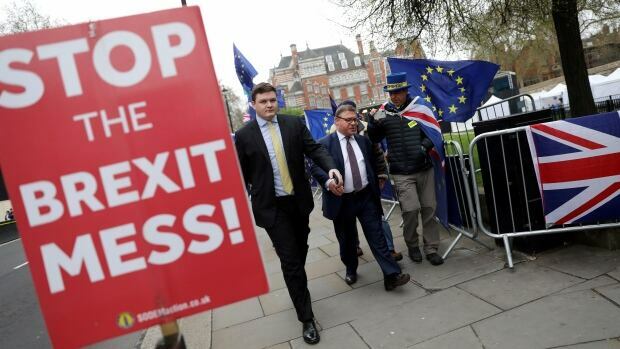 A senior German official demanded “substantial steps” forward in Britain’s Brexit standoff and insisted on Tuesday that any further delay to Britain’s withdrawal must come with strict conditions, as Prime Minister Theresa May prepared to plead for more time in Berlin and Paris. May’s Conservative government and the main opposition Labour Party have been trying to find a compromise Brexit deal before EU leaders decide Wednesday whether to grant a second extension to the U.K.’s departure. If they refuse, Britain faces a sudden and chaotic departure on Friday, the deadline set a few weeks ago by the EU. May has asked for a new delay until June 30. She is travelling to Berlin later Tuesday to meet German Chancellor Angela Merkel, then to Paris to meet French President Emmanuel Macron. European officials are already signalling that they’re not keen to give Britain a blank cheque, though they also want to avoid a no-deal Brexit.